Failed to Deploy OVF package. 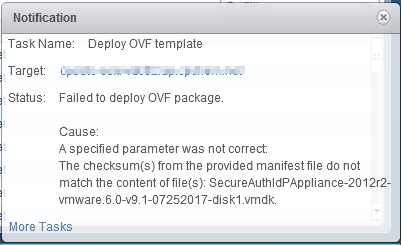 vCenter 6.5 is unable to match the checksum. Deploy directly to a VMware host that has shared storage. It will then be possible to see/add it in vCenter.